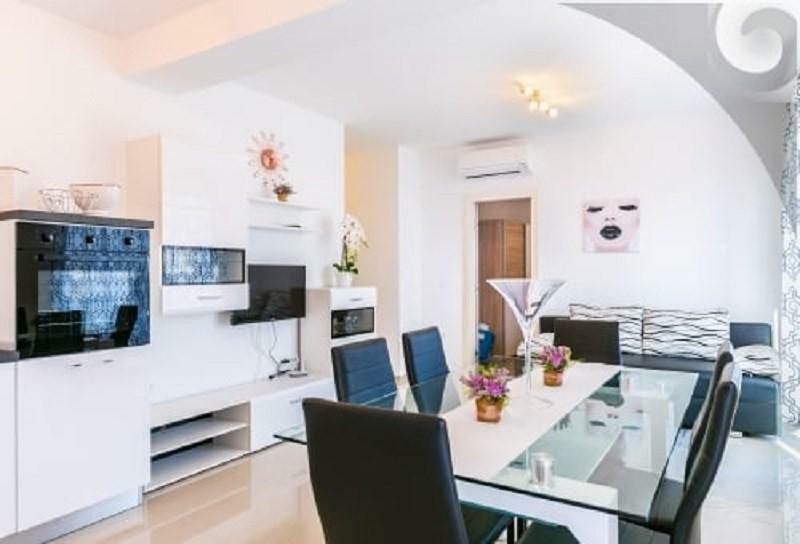 This modern apartment is situated in the newly constructed apartment complex, close to the sea. Nearest beach is 300m, and tourist center 500 meters distant. Sandy beach is only few minutes drive away. 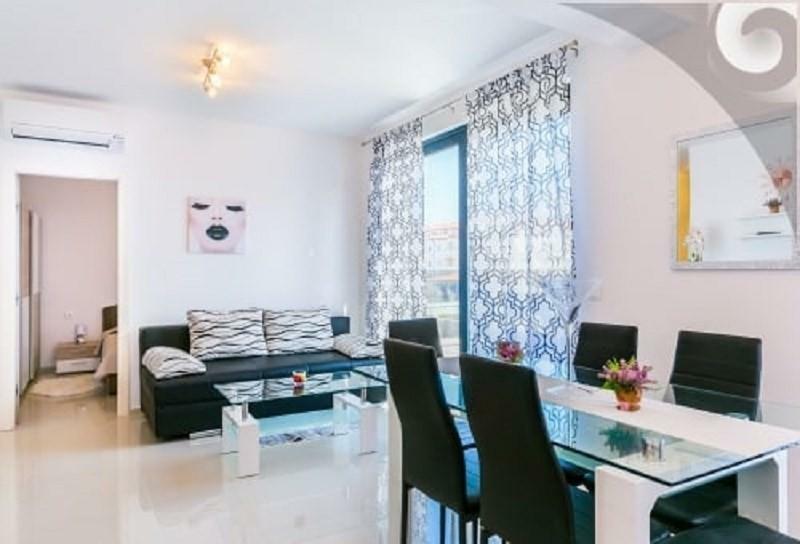 Apartment is situated on the first floor and can accommodate 4 to 6 people. With its 70 m2 size it offers: two bedrooms, an air conditioned living room with sofa bed, kitchen, bathroom with washing machine and balcony with sea view. Bedrooms are not air conditioned. 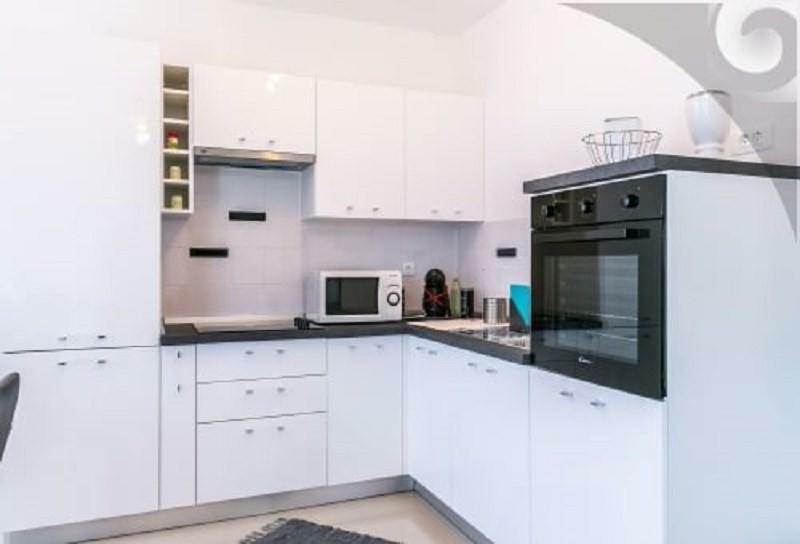 Kitchen is fully equipped which includes: electric stove with oven, dishwasher, microwave, fridge with freezer, water heater, filter coffee machine, dishes and cutlery. Guests can also freshen' up in the swimming pool which is shared with other guests in the apartment complex. Pets are allowed with surcharge. Bed sheets, towels and parking place are included in price. A security deposit in the amount of 150,00 EUR must be left on first day and will be returned on the last day in case everything is in order.